At booth 5202, Esko is on a stand with its Danaher sister companies X-Rite, Pantone and, for the first time, AVT. Esko is working together with them to integrate its automation and collaboration solutions with the X-Rite and Pantone color technology and AVT’s camera inspection solutions. The integrations are designed to preserve the digital flow of data across connected systems, addressing market demands for faster time to market and "Right First Time" production in smaller lot sizes while taking cost and waste reduction into account. However, in addition to its own booth, Esko solutions will be found in many more partner booths throughout the Labelexpo Americas aisles. And, and at the Labelexpo Automation Arena, the complete label production workflow will be running on the Esko Software platform, integrated with a CERM MIS. • CERM BUSINESS MANAGEMENT SOFTWARE (booth 6580): a global supplier of Business Management Software for narrow web printers and part of the Heidelberg group, teamed up with Esko to productize the integration between MIS and prepress. The user-friendly interface benefits from automation, accounting for the one-up approval cycle and automating step-and-repeat, resulting in significant benefits for joint customers. With Esko Color Preflight, users can the print job information automatically, then send the color preflight results back to the MIS. • EFI (booth 155): Many packaging and label companies rely on EFI MIS/ERP software to facilitate the collection and integration of company-wide information for more profitable business management. 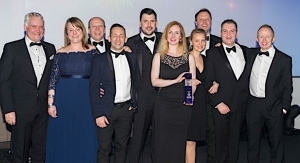 The award-winning integration between Esko Automation Engine and EFI’s Packaging Suite with Radius at its core automates the information flow between prepress and admin to avoid errors and redundancy but to also increase efficiencies. • GlobalVision (booth 1601): As a global supplier of print quality control software, GlobalVision technology is seamlessly integrated into Esko’s viewing technology as well as Esko’s Automation Engine to offer customers the ability to efficiently deal with more jobs per day while reducing the number of quality issues. Esko WebCenter can include GlobalVision functionality of barcode inspection, Braille inspection and spelling. • Label Traxx (booth 5920): Label Traxx is a global supplier of MIS systems for the label market. Esko Automation Engine and Label Traxx are seamlessly integrated with a bi-directional data stream between the order entry and prepress departments. It avoids errors resulting from data entry duplication, streamlines prepress and provides live status updates. Companies can use the Color Preflight task for Digital Printing task for estimating and quotes. • Asahi Photoproducts (booth F6479): Asahi has worked with Esko for more than 15 years. Esko’s CDI flexo plate imager installations at each of Asahi’s Technology Centers in Belgium, Japan and China have helped the company to better support customers and boost R&D efforts. Asahi will be featuring their AWP water washable plates with Clean Transfer Technology. • DuPont (booth 749): shares a long-term partnership with Esko that is committed to innovation in sustainable packaging print solutions, providing the highest quality and productivity. • Fujifilm (booth 5621): is a leading global supplier of advanced print production systems including analog and digital solutions for the Packaging & Label industry. Its partnership with Esko incorporates Esko’s CDI and application support in a joint effort to support customers in both Label and flexible packaging printing, adding value that would otherwise be difficult to achieve. Fujifilm will be showing their new Flenex plates. • MacDermid Graphics Solutions (booth 528): MacDermid uses Esko screening, imaging and CDI plate making solutions to maximize the performance of their broad line of digital flexo plates. • AVT (Esko/AVT/X-Rite booth 5202): The world leader in print inspection, print process control and quality assurance, is also part of the Product Identification Platform of Danaher. AVT works closely with Esko to automate and streamline processes and dramatically reduce waste that occurs as a result of quality issues. 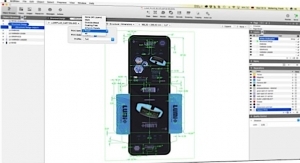 For example, AVT AutoSet connects to Esko Automation Engine to allow connectivity from prepress to inspection with close to zero set-up time or operator intervention. Another live demo will show connectivity between Esko’s Automation Engine to AVT’s iCenter to enable printers to seamlessly & automatically manage and control quality and production standards for local or global facilities around the world. • BOBST (booths 5300, 5403): a global supplier of equipment and services to packaging and label manufacturers in the folding carton, corrugated board and flexible materials industries. 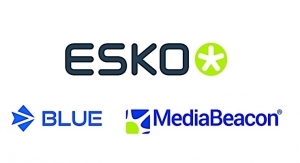 At Labelexpo, Esko will be demonstrating its flexo platemaking workflow as part of its cooperation in REVO. Designs will be printed live on the two BOBST narrow- and-mid web inline flexo and multi-process production lines while the Esko software will convert jobs with Equinox to the REVO ink set and automatically arrange separations for imaging on the new Crystal CDI XPS 4835. Esko will also be participating in a REVO master class each day on the Bobst booth at 4pm. • Domino (booths 6523, 6545): Domino N-Series presses combine high productivity with the flexibility of digital printing. 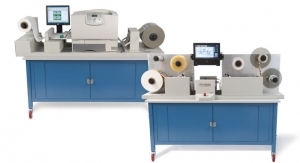 The latest Digital Front End v2.0 delivers higher productivity and improved variable data printing (VDP) capabilities in conjunction with Esko color management that has been proven to meet the demanding brand quality needs of the label market today. 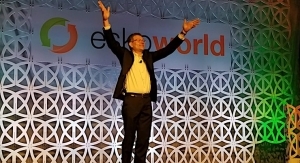 Domino will continue to partner with Esko on production workflow with seamless connectivity that maximizes value for joint customers. • Durst Image Technology US (5901): As a leading manufacturer of professional digital imaging systems for graphic, labels and package printing, Durst Phototechnik works with Esko using its Digital Front End (DFE) Rip and color management software for a more complete customer solution. • Edale (MATIK booth 5803): a supplier of high technology, narrow-mid web flexographic and digital printing presses and converting equipment. Edale has partnered with Esko to share the best available labels and packaging printing technology to support customers, help them improve performance and ensure a high level of customer satisfaction. • Epson America Inc. (booth 5813): Epson and Esko bring together advanced digital technologies that provide customers with an effective way to streamline prepress and workflow in order to print consistent, high-quality color labels. • HP Indigo (booth 3429): The latest development in HP and Esko’s ten year relationship revolves around easy to adopt and deploy workflow automation. HP will demonstrate how Esko Automation Engine QuickStart for Labels connects to HP presses and how easy it is to get more jobs to press quicker. Part of this automation is Esko’s Color Preflight, which analyzes the artwork and determines the best color space and ink separations to print the job. This helps to deliver labels at the right cost and quality, and getting to color with fewer clicks. HP will also demonstrate how Esko Color Engine is part of the new HP Production Pro for Labels & Packaging. 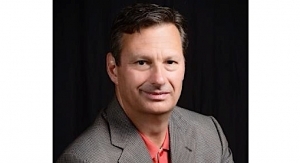 • Mark Andy (booth 319 and 749): The aim of Mark Andy is to be a total solutions partner. By working with Esko, the company is able to maximize the quality and efficiency of the entire workflow, from receipt of artwork to on-press printing to delivering the best finished printed products. On stand 319, experience Mark Andy ProWORX, the Digital Front End (DFE) solution designed exclusively for the Mark Andy Digital Series. 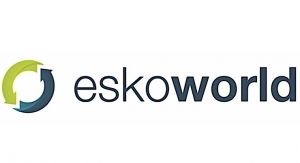 ProWORX can easily be integrated into a networked infrastructure when linked to the Esko Automation Engine. Stand 749 will showcase advanced platemaking workflows offered through Mark Andy Print Products, in partnership with Esko and DuPont. • Mouvent (Bobst booth 5400): a company founded by a joint venture between BOBST and Radex, focuses exclusively on digital print using pioneering digital technology. 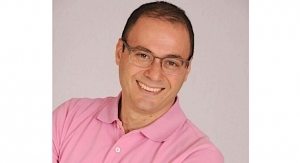 • MPS (booth 911): MPS will be showing its connectivity platform, ‘talk to me’, that promotes interaction between MPS printing presses and Management Information Systems (MIS). 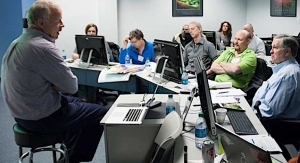 Esko color management and workflow management are important in the prepress stage of the process, while Esko Automation Engine sends information to the press for automated job configuration. • OMET Srl (booths 3123): has partnered with Esko to share the best available labels and packaging printing technology to support customers, help them improve performance and ensure a high level of customer satisfaction. • X-Rite Pantone (Esko/AVT/X-Rite booth 5202): by blending X-Rite’s expertise in measuring, formulating and managing color, Pantone’s position as the world color communication authority for nearly 50 years, Esko’s deep knowledge in the labels and packaging industry, and AVT’s expertise in print inspection and process control, these Danaher Product Identification Platform companies are better able to support customers in meeting color standards and expectations on a wide range of materials and with a broad array of printing technologies. Before today, operators would manually and separately enter production specifications into different systems, creating redundancy and room for error. 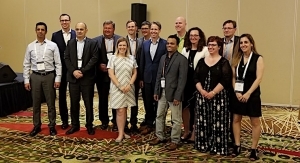 Digital links between Esko’s collaboration platform WebCenter, X-Rite’s ColorCert Suite, and AVT’s SpectraLab will be demonstrated at Labelexpo Americas. 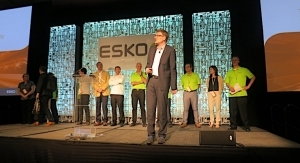 Esko is also significantly active at this year’s Automation Arena, the inaugural ground-breaking demonstration area at Labelexpo Americas, where a number of cooperating partners will be digitally printing several different self-adhesive label designs and printing multiple shrink sleeve designs using flexo. The visitor to the greenfield label factory of the future” can attend a 45-minute show where they will witness conventional and digital label production from order entry to finished goods, with all steps in between. The management information system will be integrated with Esko Software Platform, supporting end-to-end label and shrink sleeve workflow. Label personalization, preflighting, quality checks, color management, the creation of rules for inspection, proofing and customer approval are progressed using Esko’s Software Platform and Automation Engine. Access to the Automation Arena is free for all Labelexpo Americas 2018 registered visitors.